WOW! he's rather cute for a devil or demon! 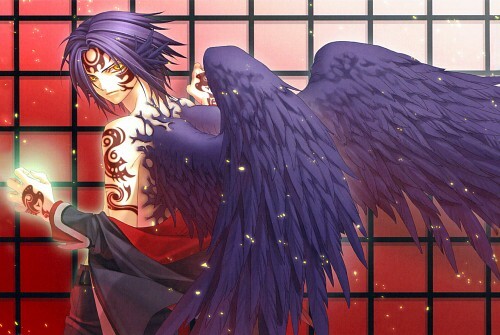 love his wings and tatoos! What is this from ? A game ? I like his wings. Beautifully drawn and the intricate tattoos on his face are so nice! The lights and shadows are used in a great manner. You've given us a beautiful scan. Thanks! Wow wow! The markings are really fab! This is such an awesome character design o.O Thanks for sharing!